PANAMA’S Tourism Authority and local travel operators are looking for a surge of Chinese visitors following The Guangzho, International Travel Fair in Canton, where Panama was identified as the "most popular destination". 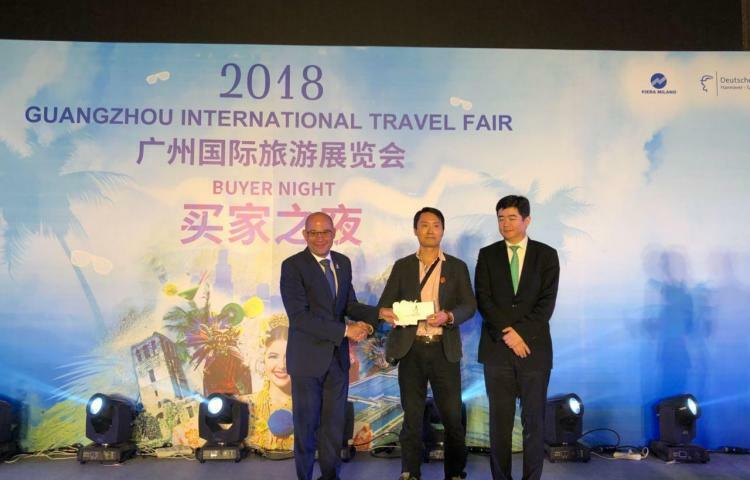 Tourism Minister, Gustavo Him, and Panama’s Ambassador to China, Francisco Carlo Escobar, received the award on behalf of the Panamanian Government. Panama had the largest pavilion and was supported by 9 private companies (tour operators and hotels), at the fair showcasing 53 countries. The ambassador of Panama said that the the inauguration of the first Air China flight in March will facilitate multi-destination tourism, taking advantage of our connectivity. He stressed that the approved destination status granted to Panama "is proof of our extensive cooperation with the Chinese people and a lasting friendship." He said that Chinese citizens with valid visas from the United States, Australia and Canada can enter Panamanian territory. "This measure is applied by other countries in the region for the opportunity to develop multi-destination packages with operating companies in the area," said the ambassador. And one other point .throughout history every failing empire the last thing they do is take their people to war as a attempt to hang onto power a little longer . And which country in this world is banging the war drum the most ?